Change in the business world is accelerating as the effects of globalization, advances in technology, and revolutions in geopolitical landscapes reach deeper into societies around the globe. The report gives practitioners a fresh perspective on how to navigate today’s challenges. The 10 imperatives will help practitioners discover areas where they can grow professionally and increase their value to their organizations. 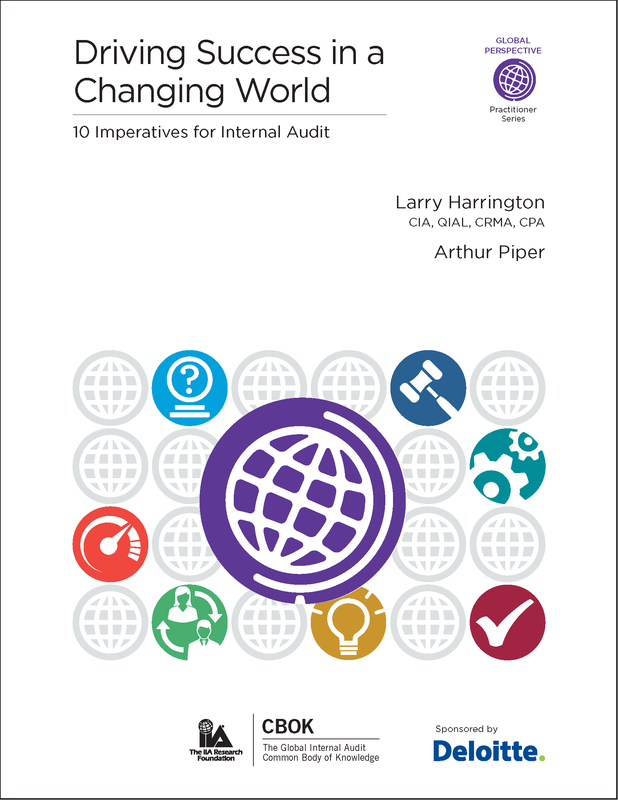 Is your internal audit department aligned to your organization’s strategic plan? How frequently do you update your audit plan? Have you ever felt pressure to suppress or modify a valid audit finding or report?